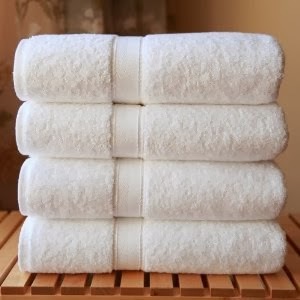 Our cleaning service will provide clean striped hot tub towels, white bath towels, bathmats, hand towels and washcloths for each bathroom prior to your stay. If you would like clean towel replacement during your stay, please let us know so that we can help you arrange cleaning services with our staff. There is a fee for this service. Striped towels are for the hot tub. White towels are for the bath.